The men could be charged with grand larceny if they are found. 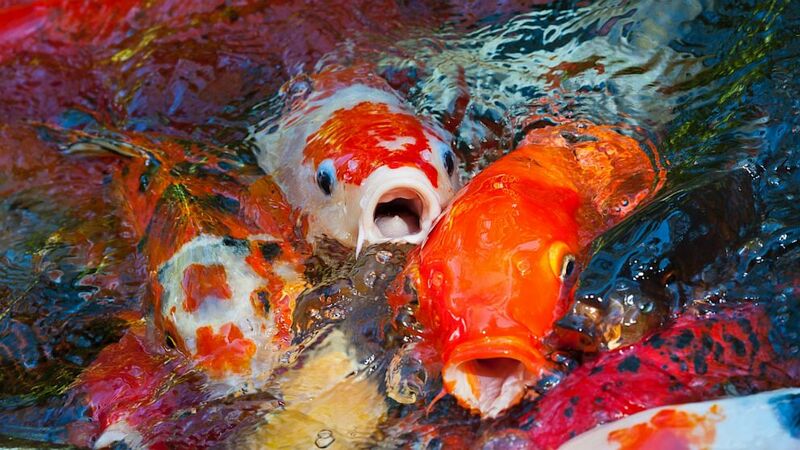 camera (Getty Images) Thieves in Herndon, Va. stole over 400 koi fish from a pond in June 2013. Two men who posed as pond maintenance workers have scooped 400 valuable koi fish out of a Virginia park, and are now the targets of their own dragnet. Between June 8 and June 16, according to a news release from the Fairfax Police Department, two men went into Dulles Corner Park in Virginia at least four times and used nets to take the fish out of the pond and scoop them into coolers. They told anyone who asked that they were pond maintenance workers who were removing the unhealthy fish and leaving the healthy ones in the pond, the police said. Master Police Officer Eddy Azcarate, a spokesperson for the Fairfax Police Department, told ABC News that the act is being treated as a grand larceny and the Fair Oaks Police District is conducting an investigation. Azcarate explained that, under Virginia law, any act of larceny where the value of the object stolen exceeds $200 is treated as grand larceny, which is a felony in Virginia. There are multiple color combinations of koi, and they range in size from three to 24 inches, according to the website of the Olympic Koi, Goldfish & Water Garden Club, a non-profit organization dedicated to the care of Koi fish. Koi are raised in Japan, Singapore, Israel, and several American states. David Dec, the owner of Koi Fish Ponds in Denver, Colo., which sells koi and pond equipment, said that koi can cost thousands of dollars, particularly if they are 3 feet long. It would be cheap, he said, for a foot-long koi to cost $130. The cheapest koi would sell for approximately $10. According to Dec's calculations, the value of the stolen fish would automatically exceed $200. "Stealing 400 Koi fish would take a lot of work and preparation," Dec said.